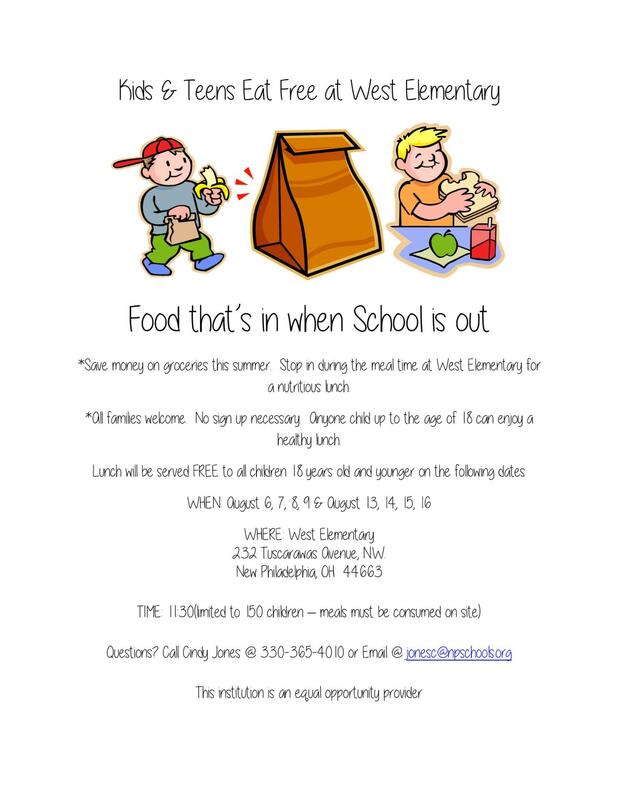 Kids and Teens eat for free at West Elementary during summer school, August 6th, 7th, 8th, 9th and August 13th, 14th, 15th, 16th at 11:30 am. Any child up to the age of 18 can enjoy an healthy lunch, no sign up necessary. Limited to 150 children and meals must be consumed on site.